Rev Hugh Rose, parish minister of Creich (1759-70) and of Tain (1770-74) and his wife, Mary MacCulloch, had six sons. The family has extensive involvements in the Caribbean. George Rose, of Labay, Grenada, was taken prisoner and shot on 8th April 1795 during the Fedon rebellion. David Rose died in New London, Connecticut, in 1794. In his will he referred to himself as 'David Rose of the Island of St Vincent'; made his brother 'George Rose of Labay, Grenada' his executor; and mentions his brother James. James Rose was a lawyer who became Depute Clerk of Session. In September 1822, in Edinburgh, his daughter Mary married Colin Campbell Esq of Demerara [Scots Magazine, 1821]; and in the same month his daughter Harriet died in Demerara [Blackwoods Magazine, 1821]. In 1798 Roderick Rose owned plantation Experiment on the east side of the Berbice river. In 1829 it was owned by Hugh Rose who renounced ownership in favour of the government [Foreign Office Library, Land Claims]. By 1794 Hugh, based in Martinique, was fulfilling the duties of deputy paymaster general for the West Indies, having been appointed to this position by the holder of the office, a Mr Phipps. Concern about the excessive cost of stores in the West Indies led to the establishment of a parliamentary commission and to the trial in 1809 of Valentine Jones, Commissary of Stores, on charges of corruption. Hugh Rose was in effect the go-between in dubious transactions involving Jones and a merchant Matthew Higgins. Higgins also used a trading house (consisting of his own brother, his clerk’s brother, and Hugh Rose’s brother William Baillie Rose) to take excessive profits, sometimes receipted under false names. Rose was not called on to give evidence. Higgins business was based in Demerara and both Hugh and his brother William were there on a number of occasions. 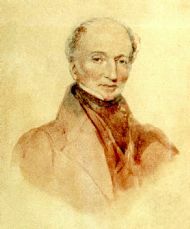 Hugh left Martinique for America in 1796, due to ill health,leaving his business to be run by his agent Kenneth McLeay. He returned to Britain in 1797 and soon after his arrival at home he purchased the estates of Glastullich, Calrossie, and Tarlogie, all in the vicinity of Tain, and Culcairn, in the parish of Roskeen - and was thereafter known as Hugh Rose of Glastullich. in 1799 Hugh Rose married Arabella Phipps, the daughter of Isaac Phipps, who had been paymaster general in the West Indies. Hugh acquired a share in plantation Geanies in Berbice in 1801, along with J Crawford Macleod of Geanies and John Bethune, the son of another Ross-shire minister. He had returned to Guyana at this time and in 1801 James Fraser, a carpenter, writing from Demerara to his cousin in Inverness reported that 'Yesterday [i.e. 11 April] a Mr Hugh Rose a son to the Revd Mr Rose of Tean was shot in a duel' [Highland Council Archive D122/2 /3]. However, he must have recovered from this wound. Hugh's wife Arabella ‘in the act of preparing Medicine for the relief of a sick and indigent Family, suddenly expired on the 9th November 1806, aged 27 years’. According to a local legend she was, in fact, murdered by Hugh's quadroon mistress, who has been brought back from the Caribbean to their home at Bayfield House, Nigg. In 1798 William Baillie Rose married, in Edinburgh, the daughter of Dr Alexander Cockburn of Granada.